Last night was another successful class. We talked about carbohydrates and the dangers of low-carb diets. I think I have them all convinced that carbs are good…especially the ones that contain fiber and are healthiest! 😀 I feel like they are so engaged and interested in the topics we talk about, it really makes for a fun, engaging class. I hope they feel the same way, ha! So yes, I couldn’t sleep in but maybe that’s because I was so anxious to share a new crock pot recipe with you all! As I had planned, the old crock has been getting some use and the results have been scrumptious! Not always pretty, but healthy and good! 😉 Oh, and time-efficient, too!! Mix it all together! The mix can be stored in an airtight container for up to a year! 2 1/2 tablespoons = 1 store-bought packet. In a large bowl or measuring cup pour the chicken broth in, and use a fork to whisk in the taco seasoning mixture. Spray the slow cooker with non-stick cooking spray. Open the diced tomato can and pour all contents over the bottom of the slow cooker. Lay the chicken breasts on top of the tomatoes and pour the broth, seasoning, and adobo peppers and sauce over that. Cover and cook on LOW for 6-10 hours. The chicken should fork apart easily in the crock pot. Serve. Yield: 5 servings (4-ounces each). Result: Ohhh my goodness! These were OUT of this world! Personally, I think the chipotle peppers in the adobo sauce are what made this taco meat so flavorful, but I’m probably a little biased since I made that addition to the original recipe. There is plenty of liquid to let this cook as long as you need to without drying out, and the meat just flakes apart with the touch of a fork. Reheats beautifully, too! *Nutrition information is for the meat only – tortilla and taco fixin’s are not accounted for. Enjoy! 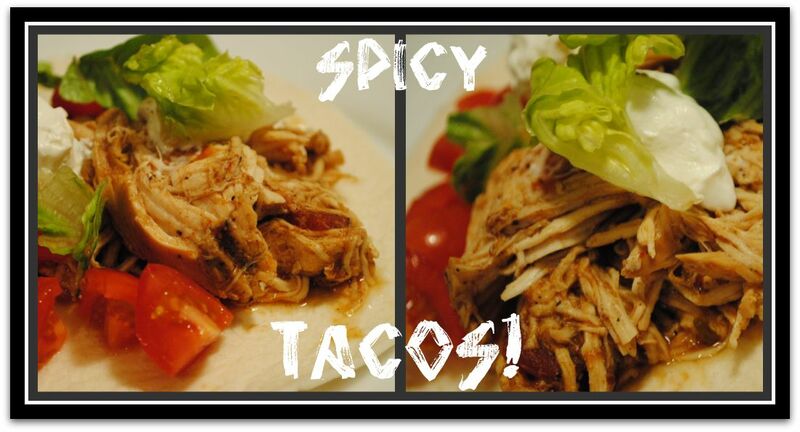 Question: Hard shell or soft shell tacos? 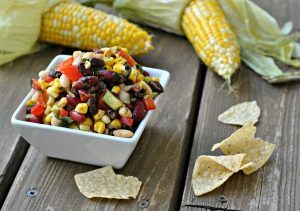 I always do soft corn shells…so much flavor and healthier, too! I’m off to work and then leaving for Chicago! My 15-hour work day yesterday more than makes up for a 3-day relaxing weekend with my family!! 😀 Cannot wait!! I also can’t wait to get in a good workout…my last workout was shoveling on Tuesday. My parent’s gym will be seeing plenty of me! “See” you in the Windy City! Your commute sounds like mine! Sending long commute sympathy! 🙂 I love love crockpot recipes – these tacos sound SO good!!! YUM!!! Thank you for the awesome recipe – absolutely can’t wait to fix these!!! Soft. Enjoy your long weekend!! Haha you and i are so alike. I only dream about sleeping in until 6:30. It never happens. Sigh. Carbs rule! Especially good-for-you ones. Thanks for spreading the word. Mmm crock pot chicken tacos look delicious! Must have been so moist and delicious. thank you for that seasoning recipe! its perfect for so many things! Homemade taco seasoning?! Great idea! I like the soft shelled tacos too, btw, so much more taste and of course they come in whole wheat varieties, so like you said, healthier. Good to hear you are convincing your students that low carb is NOT good! They need to hear that from a respected RD. Have a great time in Chicago! Shoveling is a heck of a workout, but it’s always nice to have a great gym to go to while traveling! I need to try this seasoning!! I always buy the packets, but I know that they’re SO full of sodium (and who knows what else). I prefer soft corn tortillas, too, but my husband likes the flour (I think because they’re bigger) so our dinner table usually has a mix. I’m a huge taco fan, so you have me craving it majorly and it’s only 8:45 am. This can’t be good. Now I know what my crockpot meal next Wednesday is going to be! Low carb diets = yuck…and so many college students are brainwashed that they’re the perfect weight loss solution. I think everyone could really use a nutrition class! That taco mix would really, really come in handy. I just whipped up some spice mixes, and they really come in handy when you want to save some time. 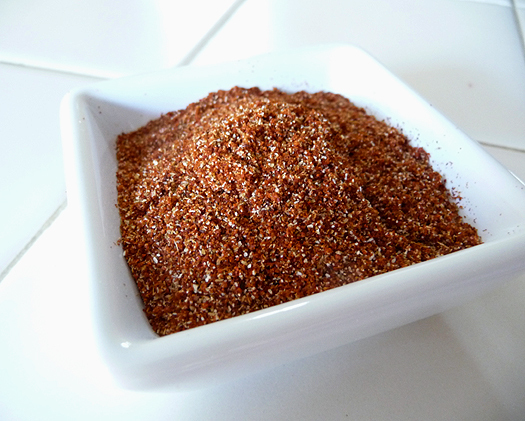 I love homemade taco seasoning, there is nothing better! Its like you read my mind…been thinking and researching recipes to make my own taco seasoning…lol I will DEF give this one a try. have you ever tried popping your boneless , skinless chicken breasts in the crockpot frozen for recipes? I do…works out great…a real time savor AND they don’t dry out as much if you leave the crockpot go all day!! Safe travels to Chi town and enjoy your three day weekend! Sounds like a great crock pot recipe! I love making my own taco seasoning. 3 hours in the car? I’m glad you thought that was short but I know I couldn’t do it! LOvely dish you made as well! I prefer flour tortillas personally! Those tacos deeeelicious! I want to kiss the person who invented the crock pot – seriously. You are going to have SUCH a fun weekend! Have fun in Chicago! Looks yummy, especially in this cold! Have a great time in Chicago! Yesterday I just wrote taco seasoning on my grocery list – i’m so changing that to stocking up on those spices to make my own! Looks delicious. Crock pot meals always turn out amazing, nice extra touch you added! I’m so glad to hear you’re enjoying your class so much, Nicole! I bet your students are having a fantastic time and learning a lot too! Mmmm, this looks like a great meal! There’s nothing like coming home to a crockpot with a delicious dinner waiting! tacos are one of my top five favorite foods ahhh these look so awesome! Welcome home! Hope you have a safe trip. I make that same taco seasoning as I found on Bean Town Baker – yum! So much cheaper than store bought and you can control the salt. Crispy, crunchy tacos all the way! Nicole, you just reminded me that I should use more my slow cooker 🙂 This chicken taco look delicious, yummie! This sounds excellent! 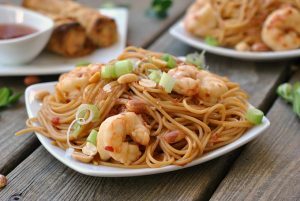 I seriously love crock pot recipes! I am going to have to try this out. I am a soft shell gal myself. Don’t get me wrong though, I won’t turn down a hardshell. Soft taco shells, but, now that Ryan bought me a taco shell maker, I may try my own out. It clamps the tortilla in the shape of the hard shell and holds it that way while you fry it. I also got a tortilla press, so either way, I need to start making some tortillas. I’m so glad you are enjoying teacher – you seem like you would be a great teacher to have 🙂 Have fun this weekend! I make my taco seasoning too! I will give your recipe a try. Have fun with your family this weekend. I am from Chicagoland and it is cold but will hopefully warm up for you. I prefer soft myself. Hard is hard to eat! I love it when nutritionists say “carb is your friend.” It’s just so refreshing to hear in this carb-phobic society. Yummy tacos! Mexican is my favorite! with avocado, of course! I love hard shell….finding a non GMO(that’s another story). We also use a corn soft tortilla. NEVER flour or whole wheat since I have a son with Celiac Disease. Certainly have learned the dangers we all face when eating wheat. I like carbs but I also think some of the healthiest people I’ve ever met are grain free folks who crossfit. There’s no denying it after you see the difference. Luckily, I don’t have to be grain free so I can eat GF carbs and enjoy them. This recipe sounds lovely…can’t wait to try it! This was delicious! 20 minutes to prep and so flavorful. My husband informed me that I can make this once a week! Thanks for another great recipe.